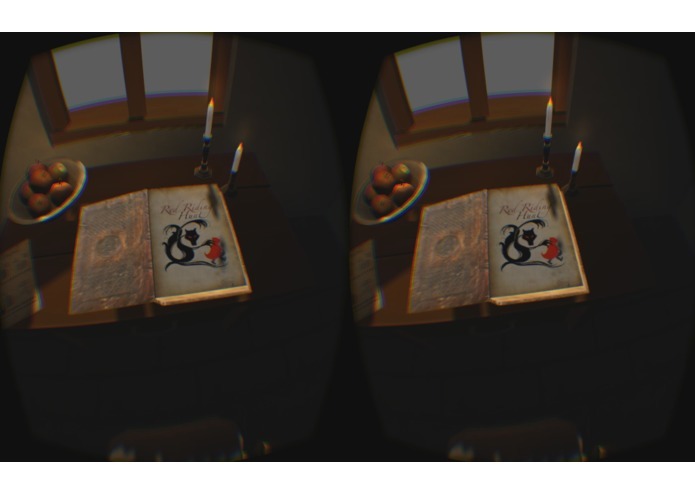 Experience a dark, horrifying fairy tale in this double-immersive VR game from outside and inside a mysterious book. 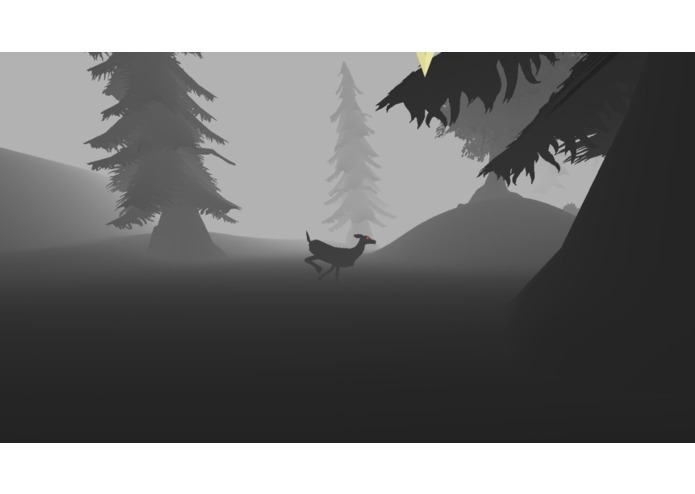 Slipping into the role of Little Red Riding Hood, you are making your way through a dark forest towards your grandmother's house. 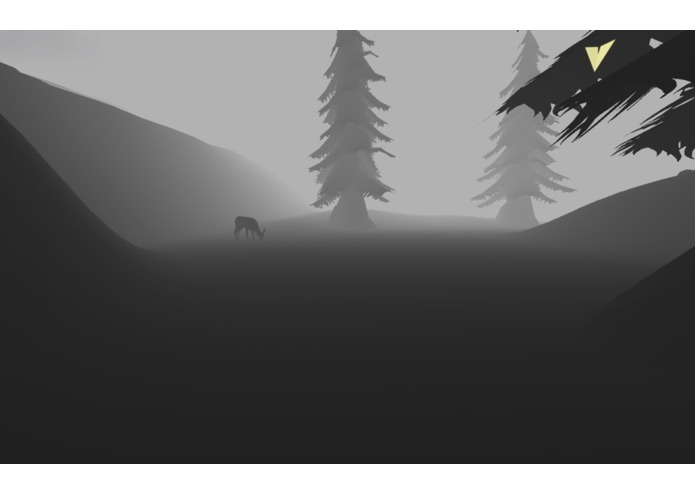 You should bring your grandmother some cake and wine but beware of the dangers of the beautiful, yet sinister forest. 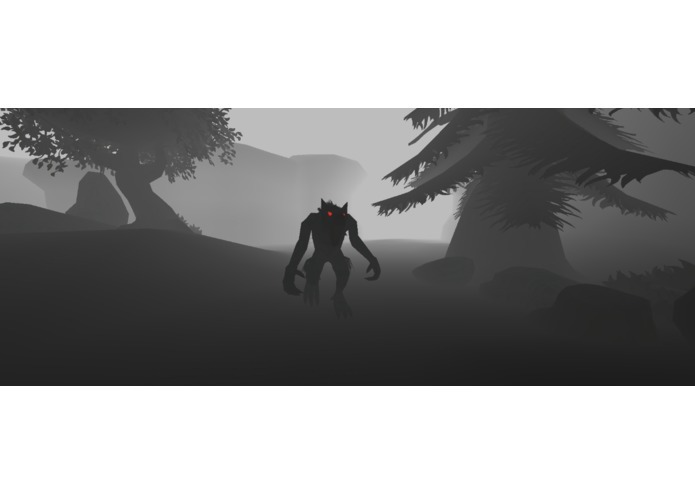 The further you proceed the more you have to learn that you are not alone in the forest as you glimpse a pair of burning red eyes staring at you out of the fog. However, the fairy tale of Little Red Riding Hood by itself is not the whole experience. You will experience also the perspective of the fairy tale reader who is sitting in a room full of interesting stuff and reading the fairy tale in a mysterious old book. Depending on how things go for Little Red Riding Hood inside the book, also the story in the mysterious fairy tale book updates accordingly. 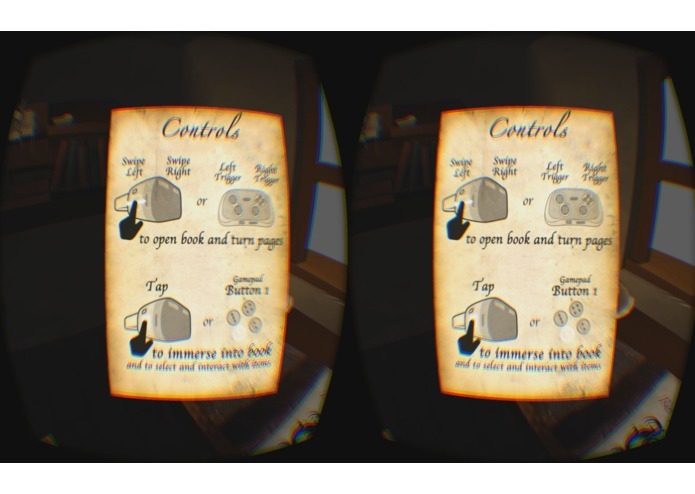 As the fairly tale reader, you'll soon discover this magical connection between the book and the story and you'll find ways to manipulate the story in the book dynamically - thus, creating what we call a double immersion in VR. 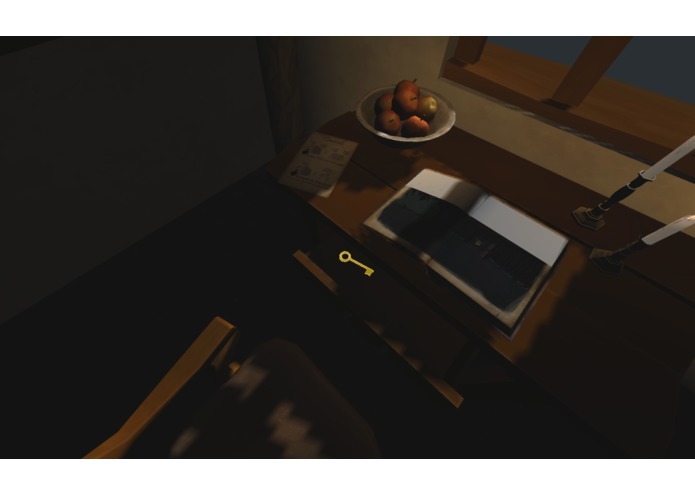 In the scene outside of the book, you are sitting on a chair and cannot move. 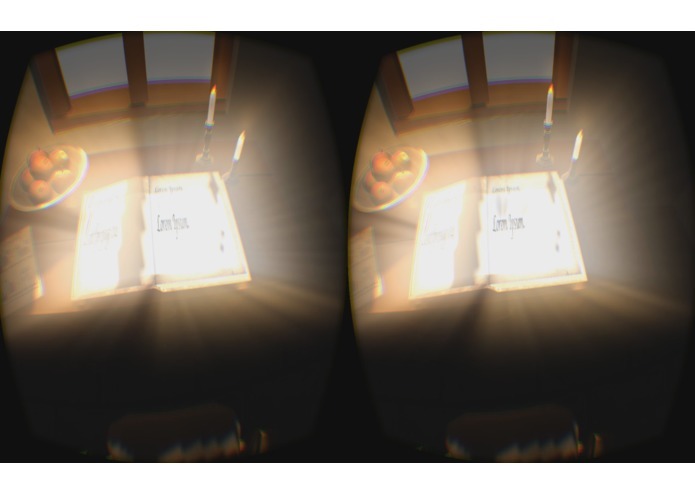 You are supposed to gaze around with your GearVR and interact with the book and also with the other items around you as the game progresses. 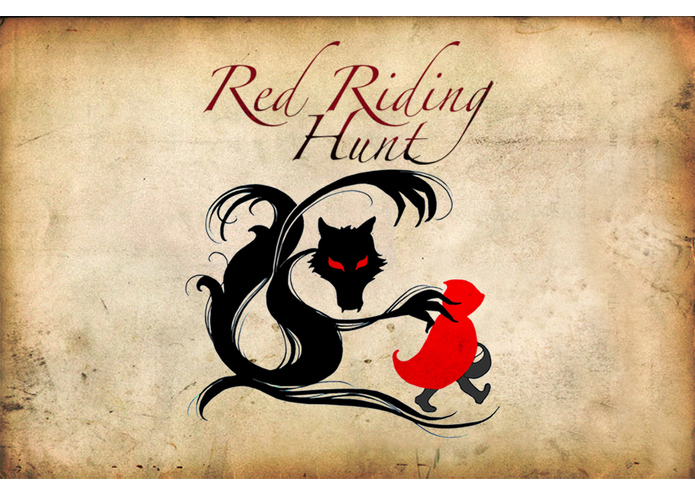 By performing a long-tap on the book, you can dive into that page and experience the fairy tale interactively from the perspective of Little Red Riding Hood. Select items around you by looking at them and do a tap. Do another tap to release them or throw them into the book. Inside the book, i.e. 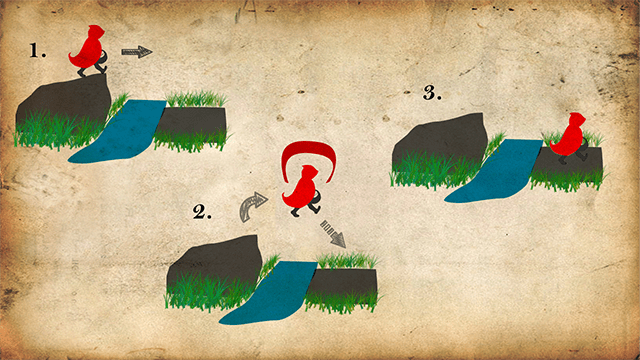 from the perspecctive of Little Red Riding Hood, you control the game with your gamepad. 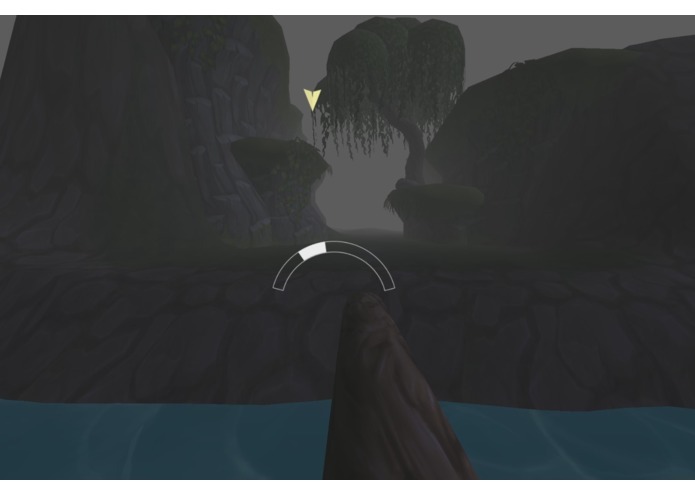 Use the left thumbstick to move. Each of the shoulder buttons of your gamepad will allow you to run. Button 1 will be used for specific actions like opening a door. At certain points in the world, you'll have to balance over a tree trunk. 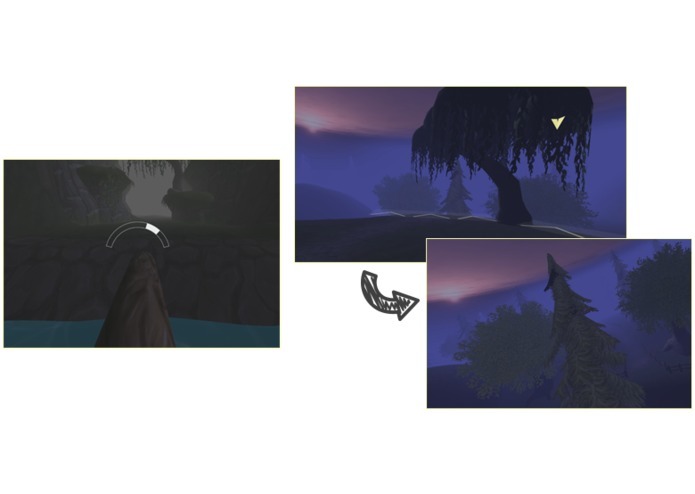 Just move onto it and then an automatic locomotion movement will start over the tree trunk (you don't have to move using the left thumbstick, you will be moving at constant speed over it). However, you have to balance over it and you do this solely by tilting your head to the left or to the right. The balance indicator has to stay in the marked region. Failing to keep it there will result in Red Riding Hood slipping from the tree trunk and falling down. 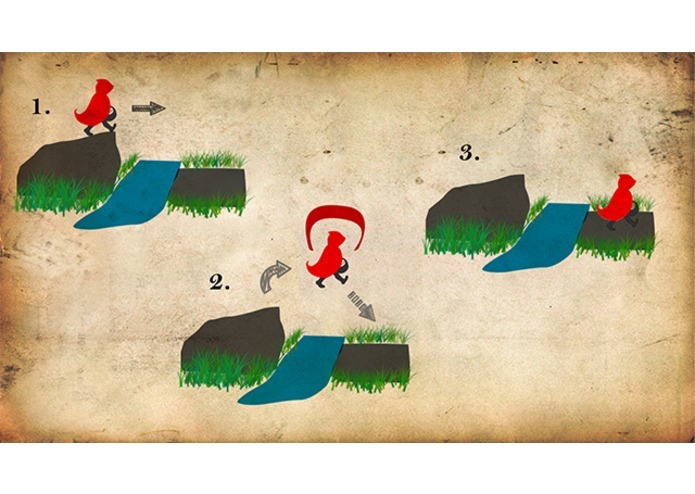 A little bit later in the game, you'll encounter several spots where you can use your red cape for a short paragliding phase. 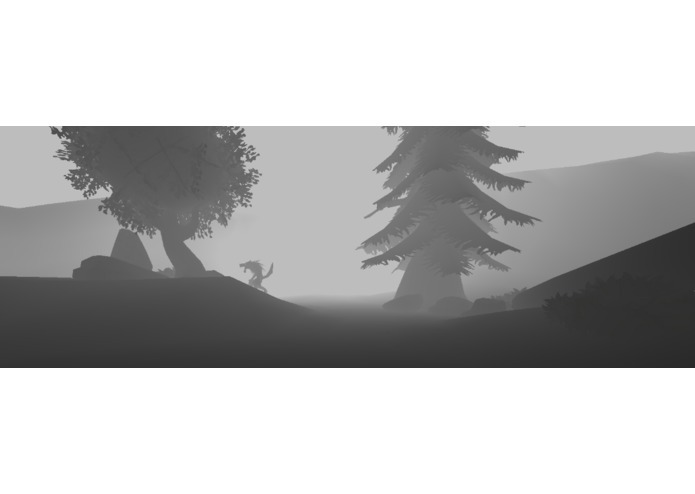 As soon as the player is in the air, we set it's rigidbody active and let the physics engine kick in. 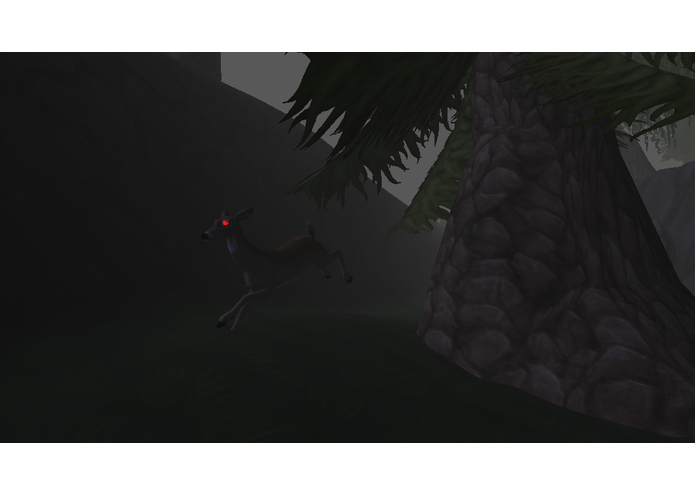 Randomly generated winds will try to get the player out of balance. 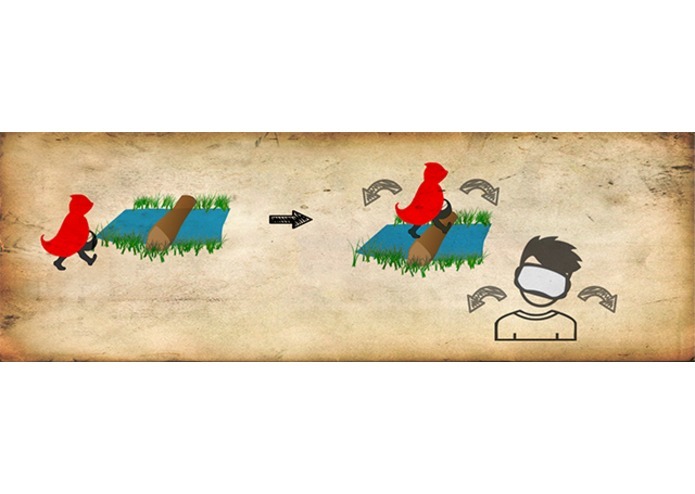 The player can counter these winds, and again, this is done by tilting the head to stay upwards. 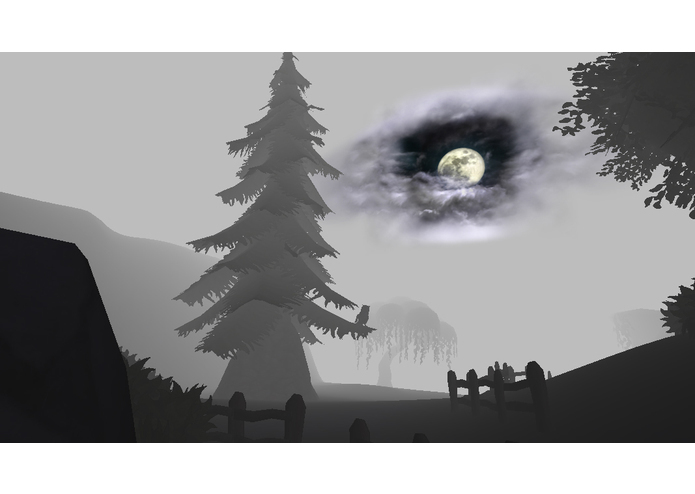 If the player fails to keep an upright position, Little Red Riding Hood will crash down. One might think, that letting the physics engine take over would lead to motion sickness since the player movements no longer accurately correspond to the movements of the real person. Surprisingly, it seems to not effect players too much. It looks like the human minds reckons with loss of accurate control when he is flying through the air. It seems normal, that during paragliding, you don't have 100% control. To further intensify the feeling to be flying, we are playing wind sounds during the time the player is cape gliding throught the air. 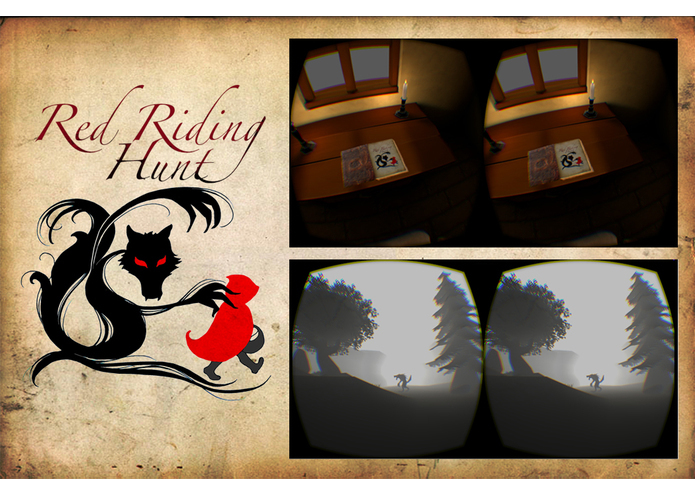 Red Riding Hunt can actually be seen as a story-driven game which tells the well-known fairy tale in quite a different way. It has one or two twists and even features different endings. Don't forget your second role in the game as the fairy tale reader who can influence the course of the story. // Please show mercy if the wolf shows strange behavior sometimes. We'd have needed a few more days to polish the AI. As already mentioned above, you can always switch between the perspectives of Little Red Riding Hood and the book reader (i.e. switch between the outside of the magical fairy tale book and the story inside the fairy tale book). 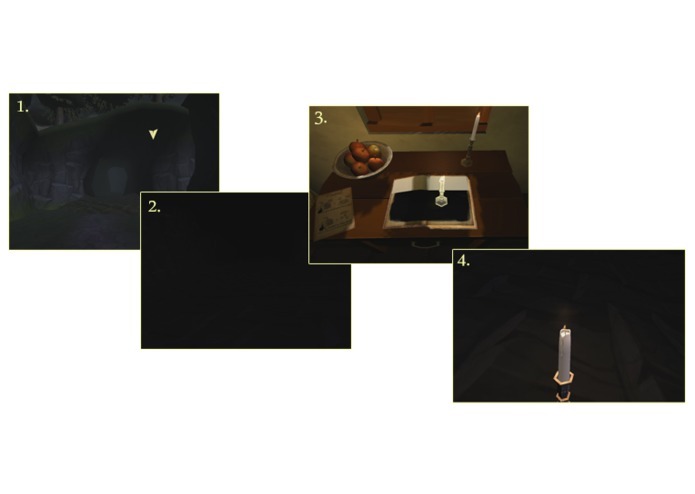 At several locations, this helps to solve puzzles or help to further progress in the game. 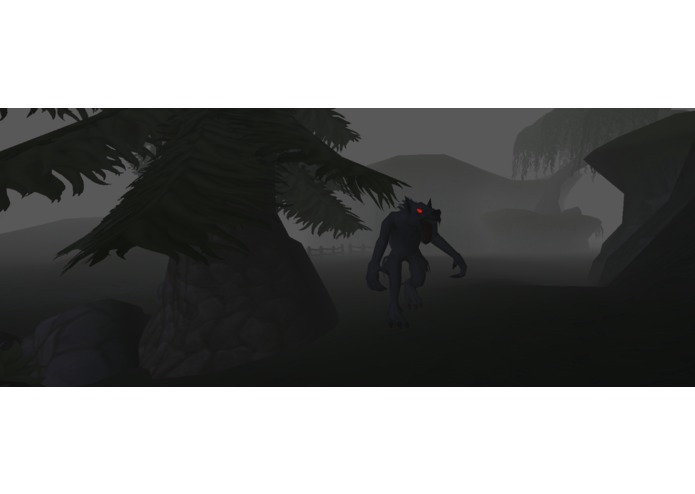 Imagine the following situation: You walk into a dark cave and can barely see anything. 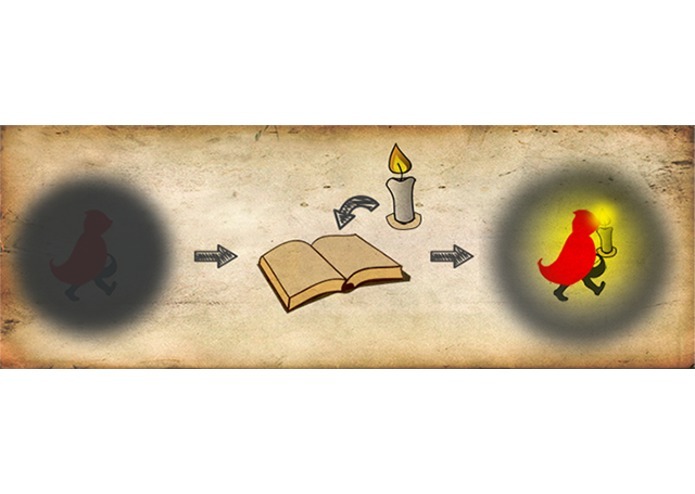 In that situation, you can switch to the book, where you'll see a candle. You can grab a candle from the scene outside of the book and throw it into the book. 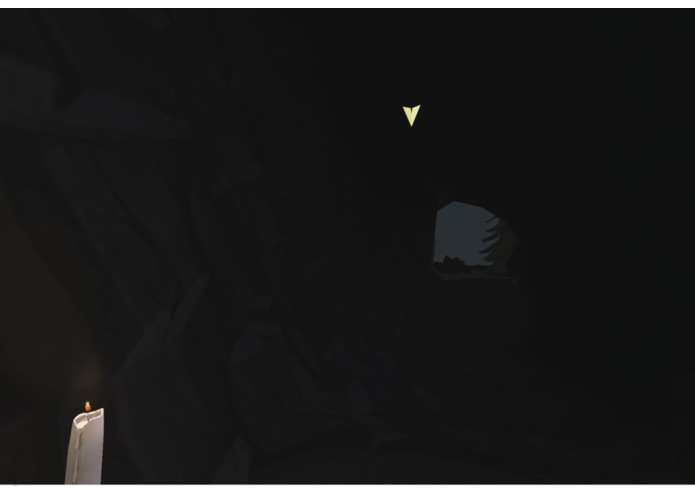 Subsequently, you'll have the candle in the game inside the book and it will light up the dark cave. But beware, there's only a limited amount of candles for the whole game! 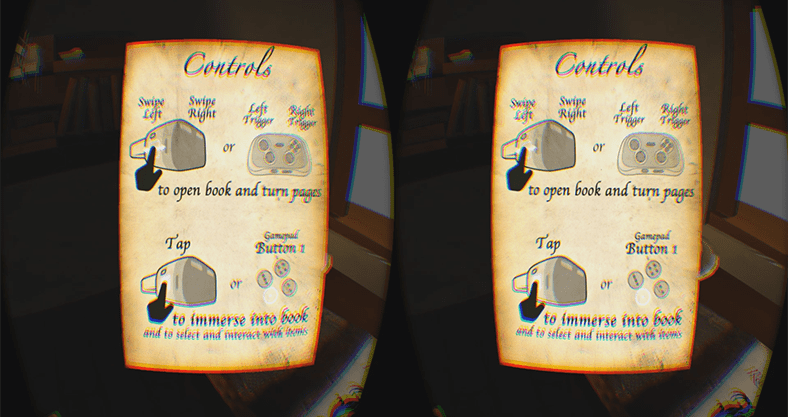 The special thing about those skill passages is that the controls for these have been tailored to the Gear VR. You don't need the gamepad, you control the player movements entirely with your head. Please refer to the section Controls where we explain how this is done. We are definitely proud on our double immersion setup which we believe works so much better in VR than without. 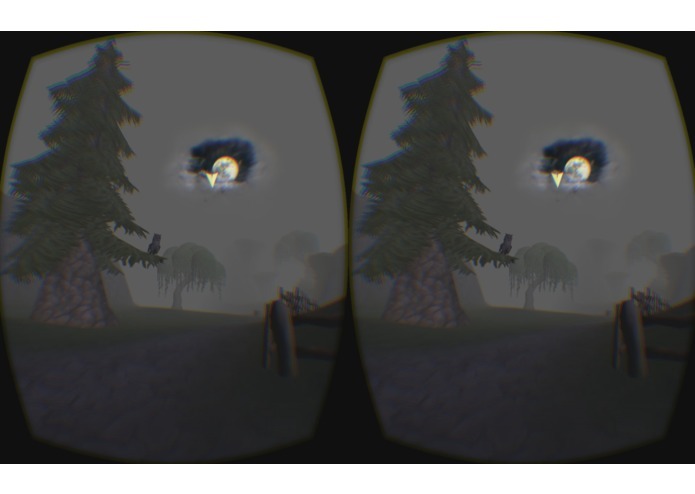 Gazing in the book scene feels natural in VR and looking for items which could be useful in the fairy tale game inside the book can be quite relaxing after running through the forest. Our paragliding controls which work together with the physics engine, are surprisingly convenient. We'd have expected a more inconvenient experience in terms of motion sickness since during flying, the physics engine has control of the player and random wind-forces try to get the player out of balance. To counter getting out of balance, the player has to tilt the head. Depending on the degree of tilt, again, a physics force is appled which ideally counters the random wind-forces if the player moved well. 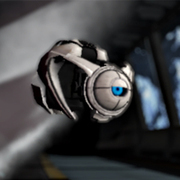 If the player didn't move well and the rigidbody tilts too much, the player wil crash down on the ground. Our setup seems to be quite comfortable. Some feel it even more comfortable than our balance controls - maybe they just like the feeling of flying. 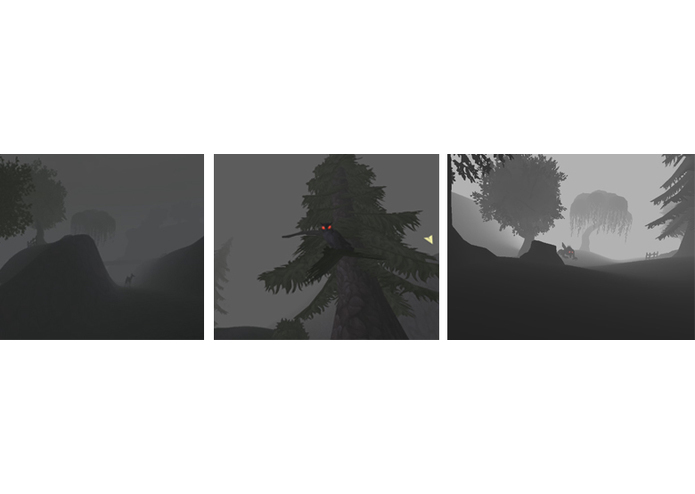 Our flying (or gliding) phases aren't too long and all credits for behaving nicely actually go to the physics engine, however, it really doesn't feel bad and creates a nice impression of being able to fly for a short amount of time, which fits well into our adventure of Little Red Riding Hood.